Shanks Group plc, one of Europe's leading waste management businesses, was forced to temporarily close its multimillion pound Rotherham facility during a difficult third quarter of trading. The closure of the 220,000 sq ft development at Brookfield's Park in Manvers enabled the main contractor to make modifications to the plant to improve future performance. The centre creates material suitable for recovery and recycling and includes Mechanical Biological Treatment (MBT) and Anaerobic Digestion (AD) facilities. Barnsley, Doncaster and Rotherham Councils secured £77m through the Private Finance Initiative (PFI) for the scheme and Shanks Group plc joined in partnership with SSE (Scottish and Southern Energy plc) to progress the plans. 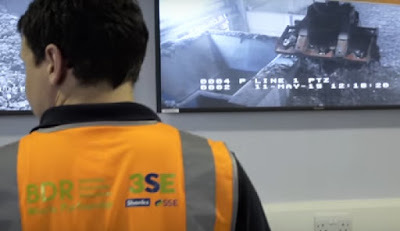 Known as 3SE, the operators signed a 25 year contract worth in excess of £750m with the councils for the treatment of black bag waste. The facility processes around 250,000 tonnes of waste a year from 340,000 homes across Barnsley, Doncaster and Rotherham. Since it opened in July 2015, more than 96% of waste has been successfully diverted from landfill. In its latest trading results Shanks plc stated: "The Municipal Division had a very difficult third quarter, with the impact of both the mix and prices of the fuels that we produce being worse than expected, particularly at East London Waste Authority (ELWA). "The Barnsley, Doncaster and Rotherham (BDR) facility was also temporarily closed to allow the main contractor to make modifications to the plant to improve future performance. "Management continue to focus closely on this division: the recovery initiatives announced with the interim results in November are being implemented and further plans are being developed by the new divisional management team to improve performance. We believe that these actions will turnaround the business, with the benefits starting to be seen in 2017/18." Recovery initiatives include improving and realigning contracts and ramping up to expected performance levels at its operations. A recent update to local councillors stated that "there have been some issues which have affected the recycling performance of the facility." These include ongoing issues with a poor market for recycling plastics from an MBT. The price of oil is low; this means the virgin plastic material is cheap and consequently lowers the value of the recyclable material. The update added: "During October to December, work was undertaken at Bolton Road to replace shredder rails and improve the refinement section. As a result, a proportion of treated waste did not have recyclable material extracted and some waste was diverted to third parties. The Contactor has mitigated the impact of these issues by: paying to get plastics reprocessed; paying for waste to be taken to third parties who can also recover recyclable material from the residual waste; making the improvements to the refinement section to increase the throughput of material and the recycling captured by the process." It was also reported that Shanks Group Plc as operating contractor for the BDR Facility are in the process of negotiating a merger with Van Gansewinkel Group. The merger is not expected to impact on the BDR Project although it is likely that Shanks Waste Management will be rebranded. A number of tours for the public are taking place at the Manvers facility on February 18.